Talking about my personal struggles has never been easy. I had a lightbulb moment the other day that if I want to be of service to others…and I mean true, passionate, honest, authentic service, I need to be more vulnerable and share my personal stories. I haven’t always been healthy, mind or body. In fact, suffering from an eating disorder from grade 7 to grade 11 was one of the biggest struggles that I overcame. I’m very proud of what I overcame in those years, but I didn’t do it alone. I had amazing support and love from my family, friends and counsellor. Now that I’m 36 years young, I can look back on those times as lessons learned. If I hadn’t gone through those struggles, I would never have become a Life Coach and I definitely wouldn’t have went back to school a couple years ago to become Health Coach. It is our struggles, our accomplishments, our lessons and our desire to help others that leads us down certain paths. At least that is how it has been for me. 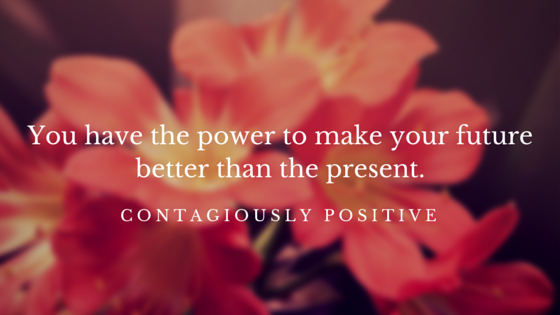 Contagiously Positive gives me the platform to share what I have learned and hopefully teach and inspire you. That is what it means to be Contagiously Positive – share what you learn, share what you know, and urge others to spread it to someone else. Today’s dose of vulnerability comes in the form an audio recording that I recorded for you. I wanted to share why I became a health coach, and how learning about nutrition helped me overcome limiting beliefs, love my body and let go of the guilt I was carrying from when I struggled with my eating disorder. This audio will give you an inside look inside my heart as to why I do what I do. Depending on your internet speed, it may take a moment to load the audio. Sit back, relax, be patient and take a breather. You deserve it!